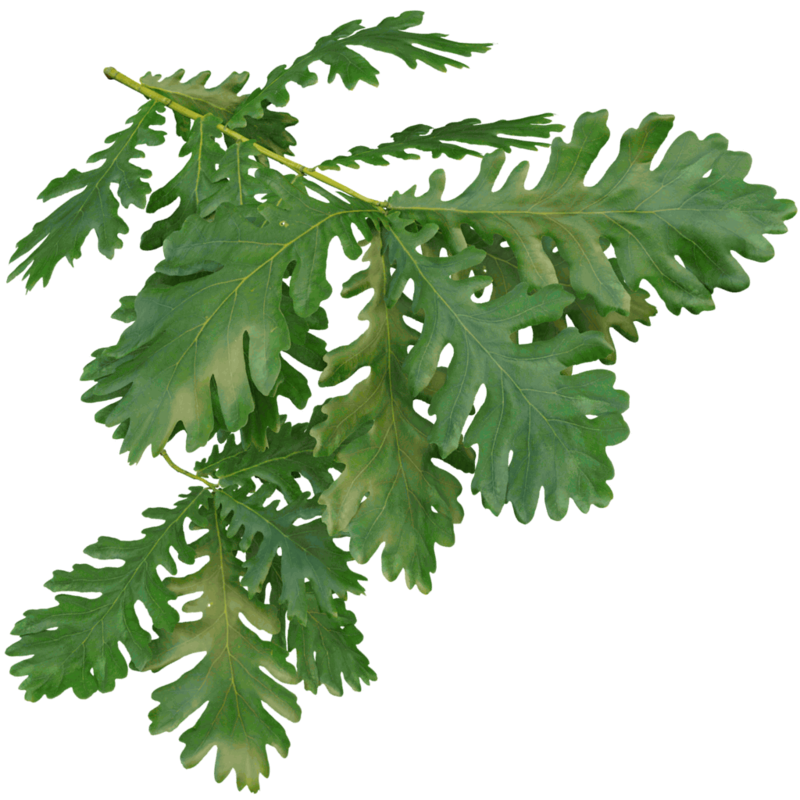 Hungarian oak is the king of all oaks, with its huge leaves. It’s all about the leaves on this tree. The longest leaf on this particular twig is 21 cm long, but they can easily grow another 10 cm. This twig was modeled from a twig picked in late spring, when its twigs were only a couple of weeks old. The upside of its leaves are leathery glossy and reflect a deep green color. It originally comes from southeastern Europe. 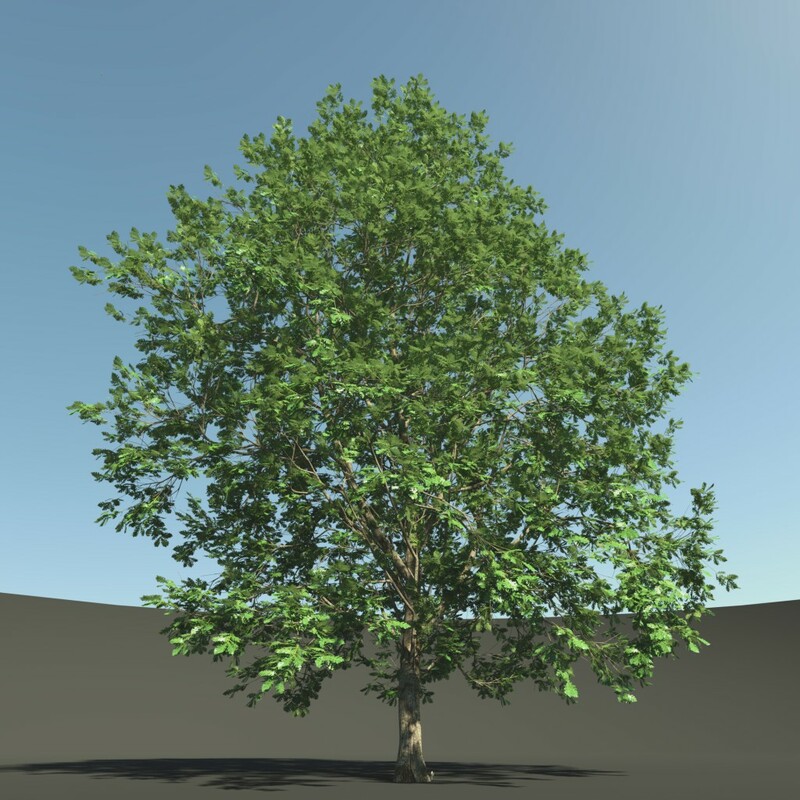 To grow your own Hungarian Oak 3D tree, keep these things in mind. This tree’s apical twigs are much longer than its lateral twigs. So to truely capture the tree’s character, two separate twig models are included. A hungarean oak’s crown shape evolves to a wide spherical shape just like other oak species.